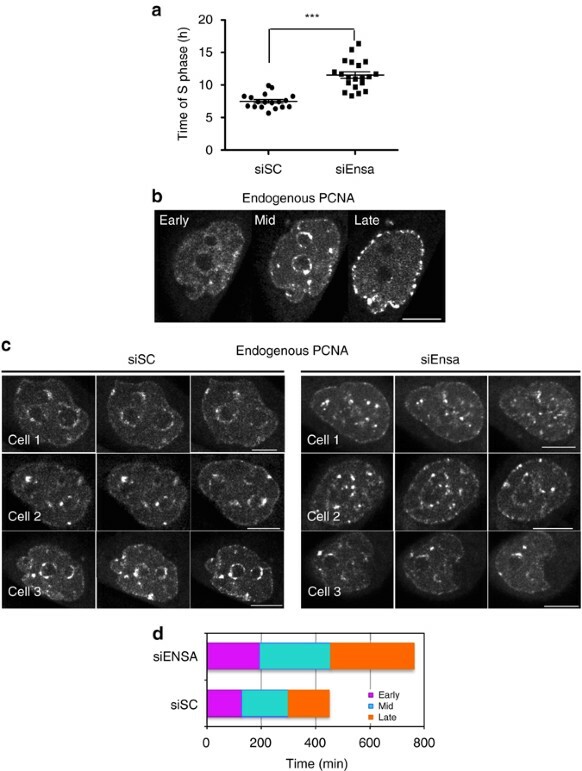 Great news, we have recently published a co-author paper in collaboration with Darren Saunders Lab entitled “The E3 ubiquitin ligase UBR5 regulates centriolar satellite stability and primary cilia”. The work was pioneered by a very talented student (now Doctor), Robert Shearer. ABSTRACT Primary cilia are crucial for signal transduction in a variety of pathways, including hedgehog and Wnt. 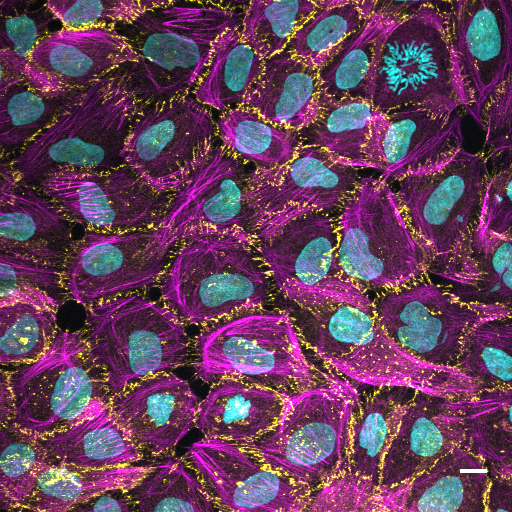 Disruption of primary cilia formation (ciliogenesis) is linked to numerous developmental disorders (known as ciliopathies) and diseases, including cancer. The ubiqui- tin–proteasome system (UPS) component UBR5 was previously identified as a putative posi- tive regulator of ciliogenesis in a functional genomics screen. UBR5 is an E3 ubiquitin ligase that is frequently deregulated in tumors, but its biological role in cancer is largely uncharac- terized, partly due to a lack of understanding of interacting proteins and pathways. We validated the effect of UBR5 depletion on primary cilia formation using a robust model of ciliogenesis, and identified CSPP1, a centrosomal and ciliary protein required for cilia forma- tion, as a UBR5-interacting protein. 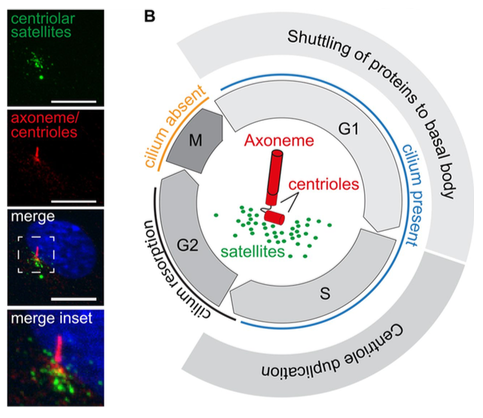 We show that UBR5 ubiquitylates CSPP1, and that UBR5 is required for cytoplasmic organization of CSPP1-comprising centriolar satellites in centro- somal periphery, suggesting that UBR5-mediated ubiquitylation of CSPP1 or associated cen- triolar satellite constituents is one underlying requirement for cilia expression. 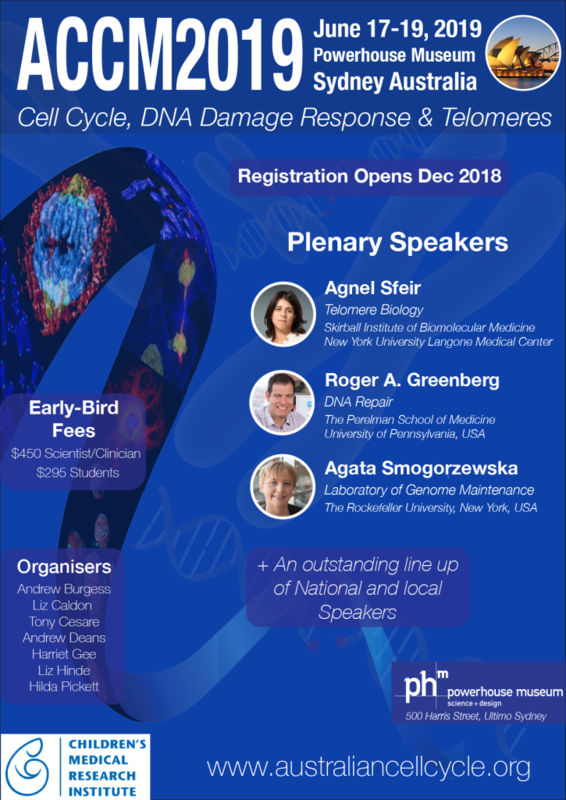 Hence, we have established a key role for UBR5 in ciliogenesis that may have important implications in understanding cancer pathophysiology. at the Powerhouse Museum in Sydney Australia. We will also be annoucing an outstanding line-up of International, National and Local speakers. More information will be added very soon. MASTL kinase is essential for correct progression through mitosis, with loss of MASTL causing chromosome segregation errors, mitotic collapse and failure of cytokinesis. However, in cancer MASTL is most commonly amplified and overexpressed. This correlates with increased chromosome instability in breast cancer and poor patient survival in breast, ovarian and lung cancer. 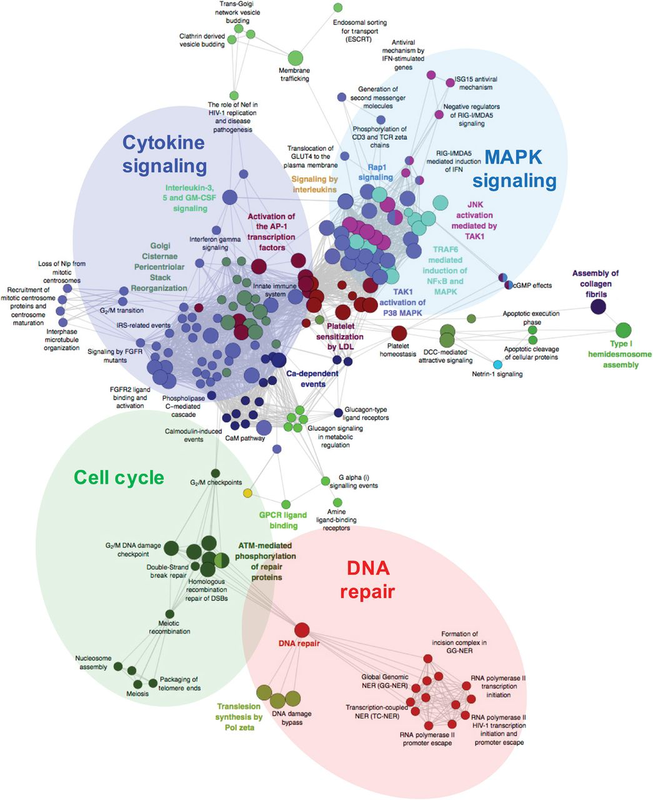 Global phosphoproteomic analysis of immortalised breast MCF10A cells engineered to overexpressed MASTL revealed disruption to desmosomes, actin cytoskeleton, PI3K/AKT/mTOR and p38 stress kinase signalling pathways. Notably, these pathways were also disrupted in patient samples that overexpress MASTL. 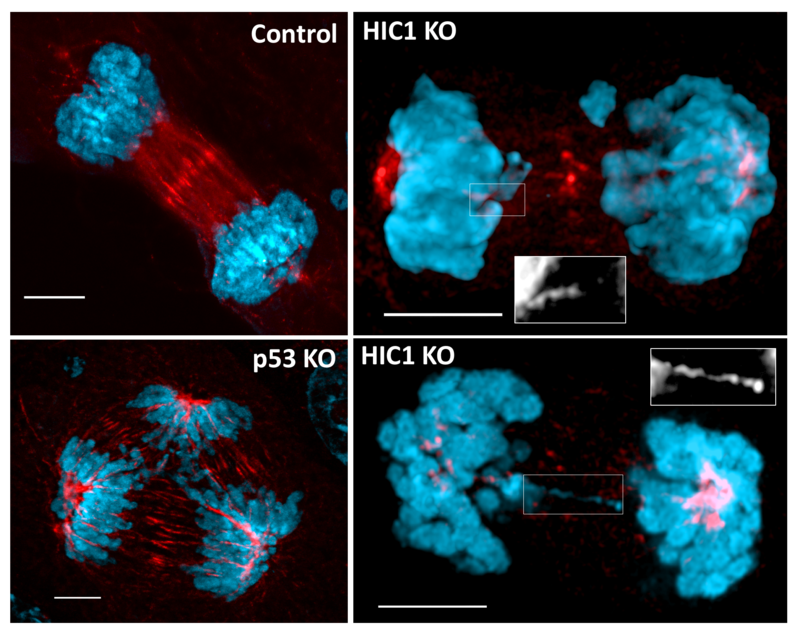 In MCF10A cells, these alterations corresponded with a loss of contact inhibition and partial epithelial–mesenchymal transition, which disrupted migration and allowed cells to proliferate uncontrollably in 3D culture. Furthermore, MASTL overexpression increased aberrant mitotic divisions resulting in increased micronuclei formation. 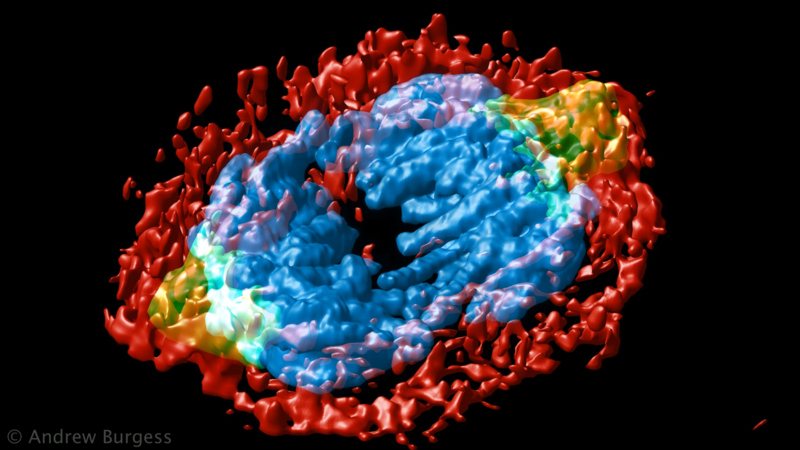 Mathematical modelling indicated that this delay was due to continued inhibition of PP2A-B55, which delayed timely mitotic exit. This corresponded with an increase in DNA damage and delayed transit through interphase. There were no significant alterations to replication kinetics upon MASTL overexpression, however, inhibition of p38 kinase rescued the interphase delay, suggesting the delay was a G2 DNA damage checkpoint response. 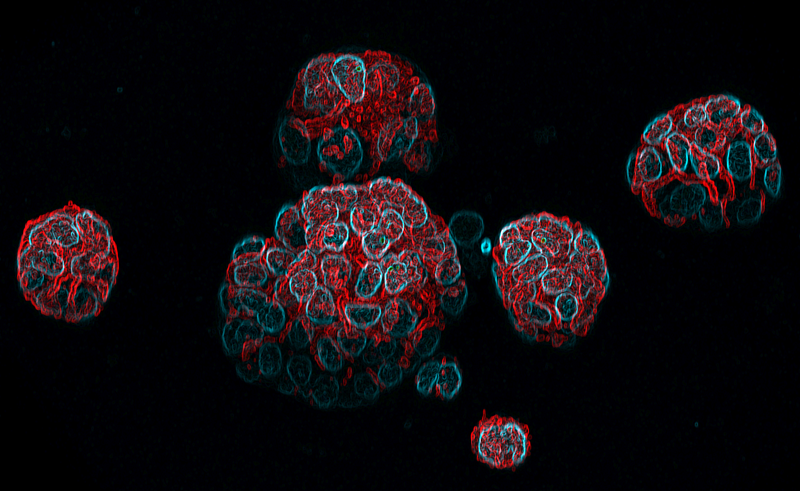 Importantly, knockdown of MASTL, reduced cell proliferation, prevented invasion and metastasis of MDA-MB-231 breast cancer cells both in vitro and in vivo, indicating the potential of future therapies that target MASTL. 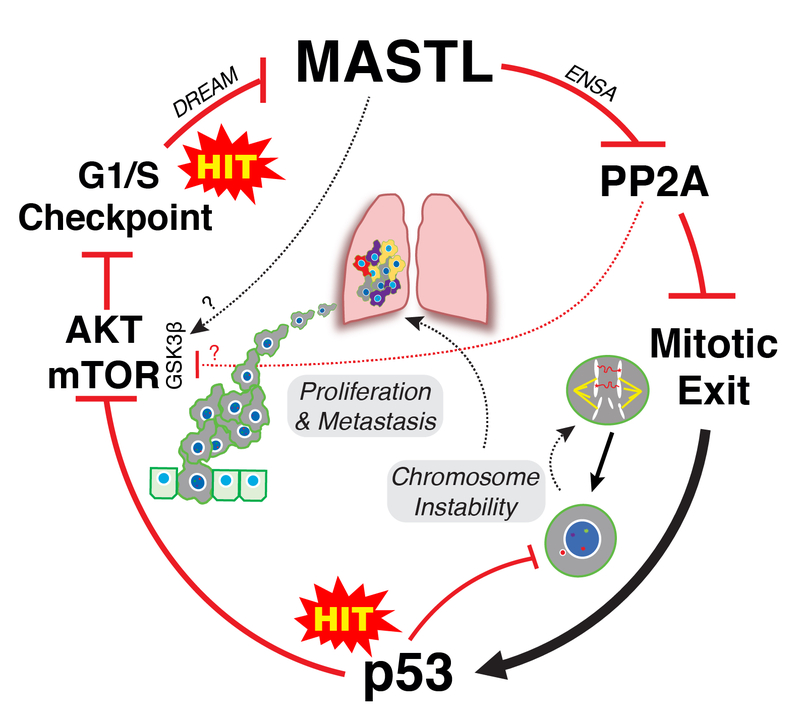 Taken together, these results suggest that MASTL overexpression contributes to chromosome instability and metastasis, thereby decreasing breast cancer patient survival. Great news, we are looking for a full-time research assistant or junior post-doctoral researcher. We are seeking a highly motivated BSc (Hons) graduate who is interested in pursuing a career in biomedical research with particular focus on cancer cell biology. The successful applicant will have demonstrated a high level of undergraduate achievement and applicants graduating with Honours will be highly regarded. The successful applicant will work closely with the Principal Hospital Scientist and perform a variety of advanced molecular and cellular biology techniques to elucidate novel mechanisms that drive chromosome instability and drug resistance in breast and lung cancer. Essential criteria include experience in mammalian cell culture, cellular and molecular biology techniques, with experience with mass spectrometry, and/or microscopy and flow cytometry viewed favourably. Candidates should have excellent written and verbal communication skill and a history of publication would be viewed favourably. The ANZAC Research Institute is situated on the Concord Hospital campus and is affiliated academically with the University of Sydney. The ANZAC Research institute is a multidisciplinary facility, for more information about the institute please see http://www.anzac.edu.au. This position is open to Australian and New Zealand citizens, permanent residency or people with valid working visa status. It is available for one (1) year initially with prospect of renewal for 3-yrs total, subject to progress and grant applications. Level of appointment will be according to qualifications and experience. Current CV, copy of academic transcript, a cover letter addressing the selection criteria below, provide two current referees, and evidence of work rights within Australia. Minimum BSc (Hons I preferred) with a focus on cancer cell biology. Experience in in mammalian tissue culture (transfection, stable cell line production, 3D spheroid culture, gene knockdown/out, CRISPR etc). Experience in molecular and cellular biology techniques (western blotting, PCR, cloning, etc). 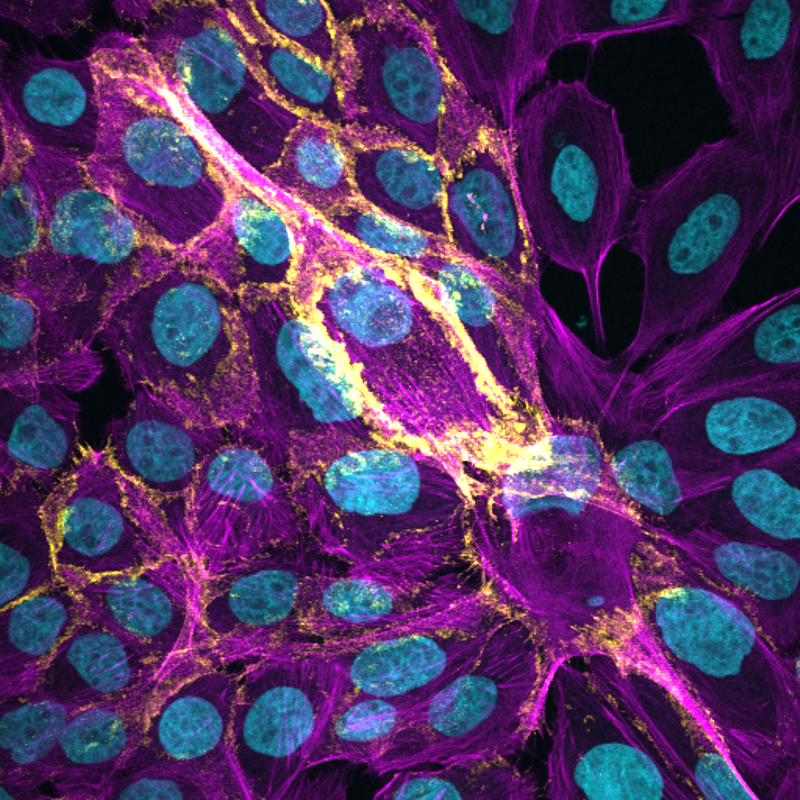 Experience in Mass Spectrometry (phosphoproteomics), confocal microscopy or flow cytometry will be viewed favourably. Must possess excellent time management, organisational and analytical problem-solving skills. Strong computer software literacy and an understanding of statistics. A history of publication and/or an interest in completing a PhD would be highly regarded. Great news, we have a new co-author publication out in the journal Oncogene! The work was lead by Professor Neil Watkins, and is titled “The tumor suppressor Hic1 maintains chromosomal stability independent of Tp53”. ABSTRACT: Hypermethylated-in-Cancer 1 (Hic1) is a tumor suppressor gene frequently inactivated by epigenetic silencing and loss-of- heterozygosity in a broad range of cancers. Loss of HIC1, a sequence-specific zinc finger transcriptional repressor, results in deregulation of genes that promote a malignant phenotype in a lineage-specific manner. In particular, upregulation of the HIC1 target gene SIRT1, a histone deacetylase, can promote tumor growth by inactivating TP53. An alternate line of evidence suggests that HIC1 can promote the repair of DNA double strand breaks through an interaction with MTA1, a component of the nucleosome remodeling and deacetylase (NuRD) complex. Using a conditional knockout mouse model of tumor initiation, we now show that inactivation of Hic1 results in cell cycle arrest, premature senescence, chromosomal instability and spontaneous transformation in vitro. This phenocopies the effects of deleting Brca1, a component of the homologous recombination DNA repair pathway, in mouse embryonic fibroblasts. These effects did not appear to be mediated by deregulation of Hic1 target gene expression or loss of Tp53 function, and rather support a role for Hic1 in maintaining genome integrity during sustained replicative stress. Loss of Hic1 function also cooperated with activation of oncogenic KRas in the adult airway epithelium of mice, resulting in the formation of highly pleomorphic adenocarcinomas with a micropapillary phenotype in vivo. These results suggest that loss of Hic1 expression in the early stages of tumor formation may contribute to malignant transformation through the acquisition of chromosomal instability. 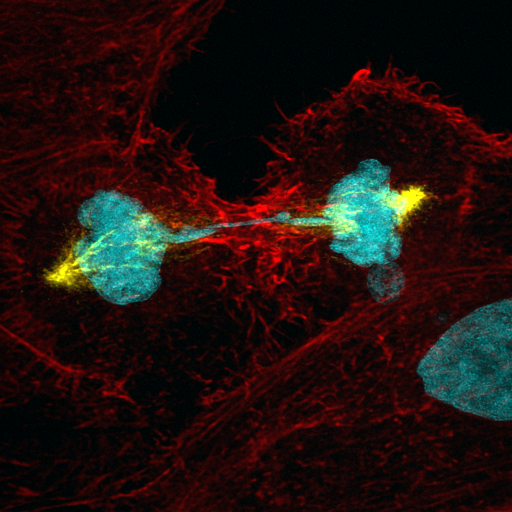 This entry was posted in News and tagged BRCA1, chromosomal instability, CIN, DNA repair, DNA replication, HIC1, histone deacetylase, homologous recombination, knockout mouse, lung cancer, oncogene, TP53, tumor formation.